Performance in the Borderlands critically examines a range of cultural performances produced in relation to the tensions and movements of/about the border. Comprised of thirteen essays and a transcribed conversation involving the majority of this collection's contributors, this book places a spotlight on both the material and imagined lines of division that exist within North America, including the Caribbean, and divide both geographical regions and the people who inhabit them. In focusing upon the northern portion of the western hemisphere, Performance in the Borderlands does not center any one national border but instead brings into the focus the many boundaries that exist within the quadrant. It critically explores not only the border that exists between the US and Mexico but also the intranational divisions (state and regional differences) within the US, the creation of boundaries by multinational capitalist investment and militaristic presence in the Caribbean, and the natural and political obstacles that inhibit travel between Mexico and Guatemala, Haiti and the Dominican Republic. 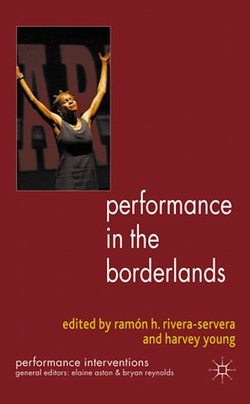 "Ultimately the book is highly successful in deeply interrogating its central themes of borders and performance. It should make an enduring contribution in the various fields it engages, and it is likely to interest scholars with a range of disciplinary orientations."